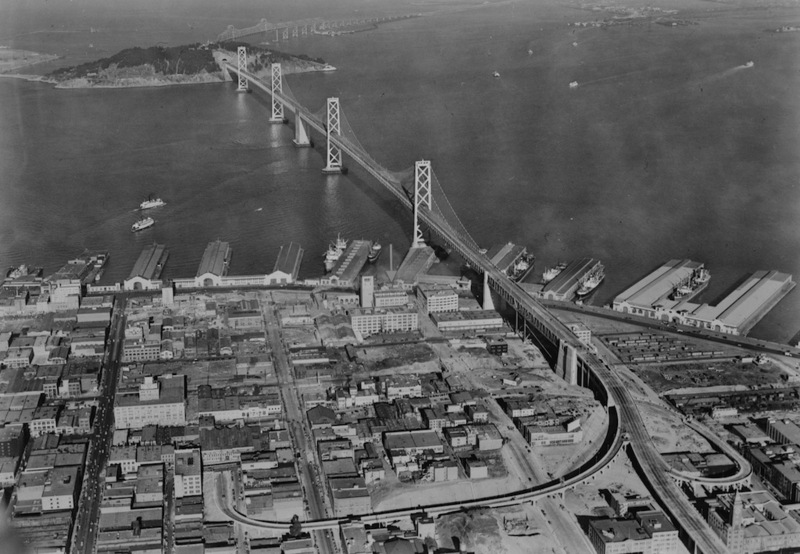 The Bay Bridge was originally built in the 1930s, and after the Loma Prieta earthquake in 1989 it became clear it needed to be replaced. 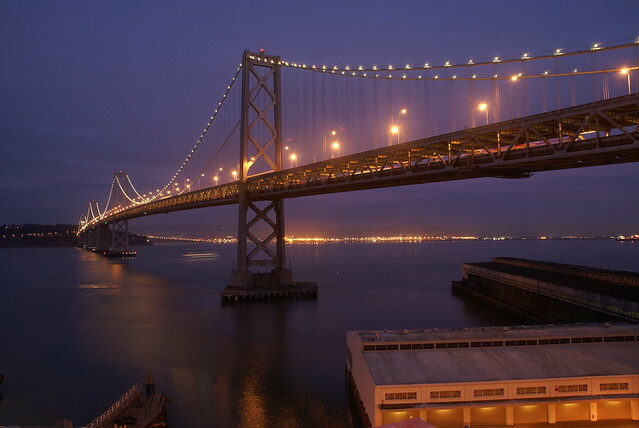 One of the flashbulb memories many people have of the quake — in addition to it interrupting the ’89 World Series and the collapse of the double-decker Cypress Street Viaduct — is the failure of a span on the Bay Bridge, with cars driving over it. 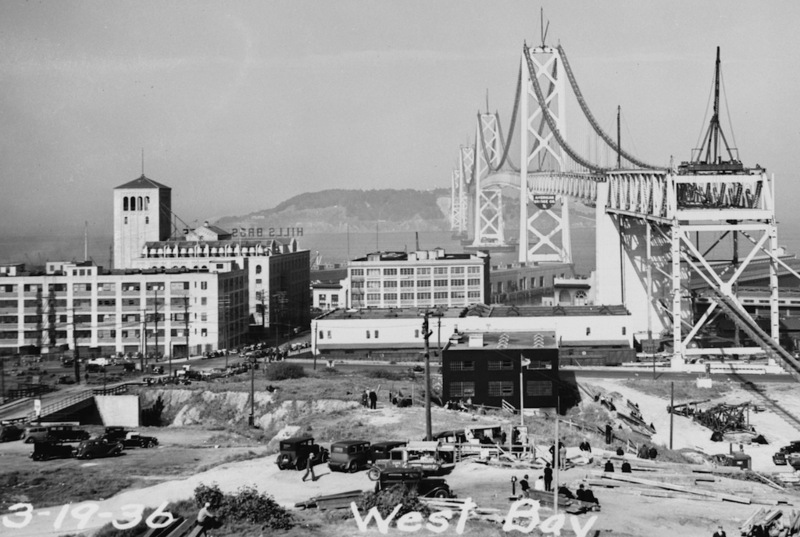 Since then, the western half of the Bay Bridge has been retrofitted to be earthquake-safe, but the eastern span of the bridge has taken longer to completely replace. This weekend’s work is to transition the connection points, so that tomorrow people will be driving over a completely new bridge that’s been 11 years and $6.4 billion in the making! 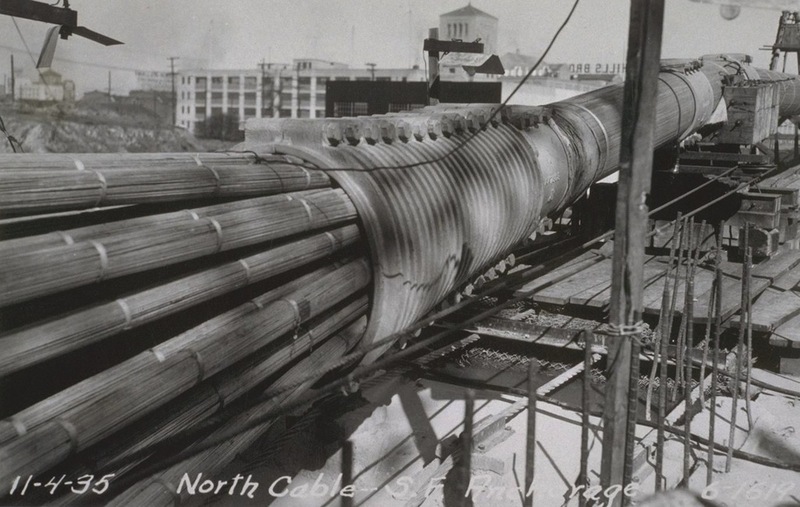 Last Friday @BurritoJustice tweeted a link to a slideshow that dove into the engineering history of the Bay Bridge, complete with photos taken during the construction. 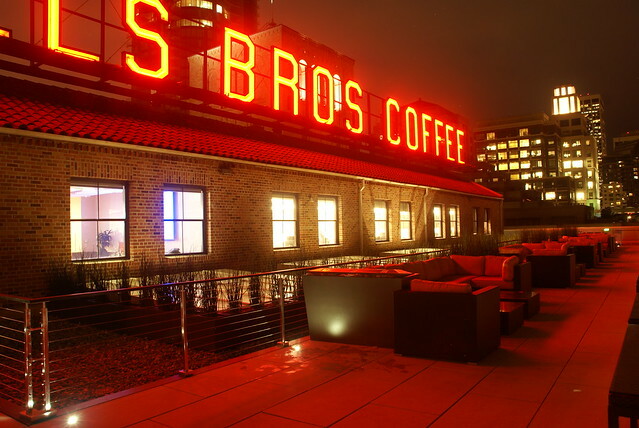 As well as a first-row seat beneath the giant “HILLS BROS COFFEE” sign atop the building. So there you have it. 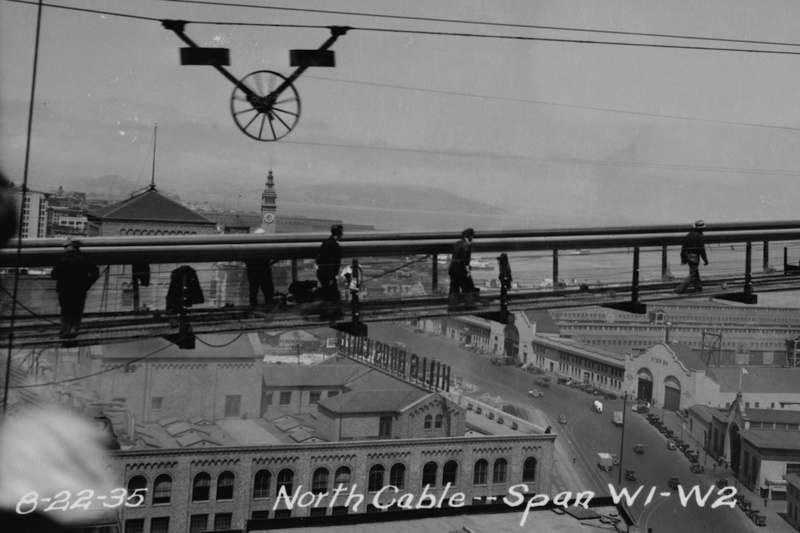 Pics of the Mozilla San Francisco office from both ends of an 80 year span of history. It’s been a while since I last blogged about Firefox’s password manager. No big deal, it really hasn’t fundamentally changed since since I rewrote it 6 years ago for Firefox 3.0. Well, ok, the storage backend did switch to SQLite, but that’s mostly invisible to users. 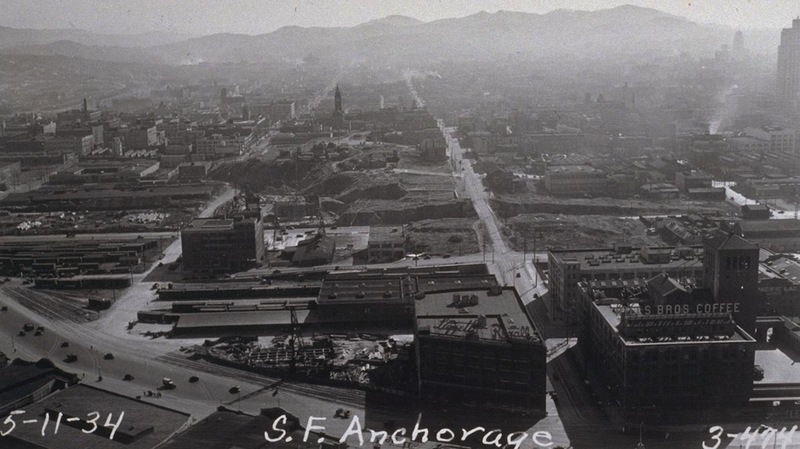 There’s a noteworthy change coming soon (see next post! ), but I figured that would be easier to explain if I first talked about how things currently work. Which I’ve been meaning to do for a long time, ahem. So let’s talk about how two of the main functions work — filling in known logins, and saving new logins. The overall process for filling in an existing stored login is simple and brutish. Use the chrome docloader service and nsIWebProgress to learn when we start loading a new page. Add a DOMContentLoaded event listener to learn when that page has mostly loaded. Check to see if there are any logins stored for this site. If not, we’re done. Is there an <input type=password> in the form? If not, skip form. Check to see if any known logins match the particular conditions of this form. If not, skip form. Check to see if various other conditions prevent us from using the login in this form. Fill in the username and/or password. Great success! Phew! But it’s the details of looking at a form where things get complex. To start with, where do the username and password go? The password is fairly obvious, because we can look for the password-specific input type. (What if there’s more than one? Then we ignore everything after the first.) There’s no unique “username” type, instead we just look for the first regular input field before the password field. At least, that was before HTML5 added more input types. Now we also allow types that could be plausibly be usernames, like <input type=email> (but not types like <input type=color>). Note that this all relies on the order of fields in the DOM — we can’t detect cases where a username is intended to go after the password (thankfully I’ve never seen anyone do this), or cases where other text inputs are inserted between the actual username field and the password (perhaps with a table or CSS to adjust visual ordering). And then. And then and then and then. Like I said, there’s no spec, and sometimes a site’s usage can break the guesses we make. In comparison, the process for saving a login is simpler. Given a form submission, is there a password field in it? If not, we’re done. If username and password are already saved, there’s nothing else to do. Of course, there are still a number of complicating details! Oh, and there’s still the same question as before — how to determine which fields are the username and password? We reuse the same algorithm as when filling a page, for consistency. But there are a few wrinkles. The form might be changing a password, so there could be up to 3 relevant password fields (for the cases of: just a new password, old and new passwords, and old + new + confirm.). And the password fields could be in any order! 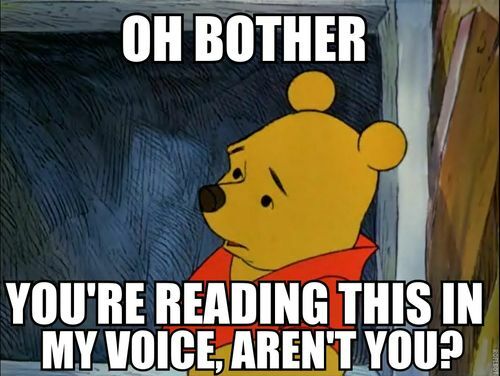 (Surprisingly, again, this works.) The most common problem I’ve seen is an account signup page with other form fields between the username and password, such as “choose a user name, enter your shipping address, set a password”. The password manager will guess wrong and think your zipcode is your username. Oh, and somewhere in all this I should mention how differences in URLs can prevent filling in a login (or result in saving a seemingly-duplicate login). Clearly google.com and yahoo.com logins should be separate. But we also match on protocol, so that a https://site.com login will not be filled in on http://site.com. And what about http://www.foo.com and foo.com or accounts.foo.com? (We treat them separately.) What about mail.mozilla.com and people.mozilla.com? (Also separate.) What you might not realize is that we also use the form’s action URL (i.e., where the form is submitted to), ever since bug 360493. While this prevented sending your myspace.com password to evilhacker.com, it also breaks things when a site uses slightly different URLs in various login pages, or later changes where their login forms submit to. This is one of the benefits of being Open Source. If you want to see alllll the gory details of how the Firefox password manager works, you can look at the source code. See http://mxr.mozilla.org/mozilla-central/source/toolkit/components/passwordmgr/. In particular, LoginManagerContent.jsm contains the code implementing the stuff discussed in this post, with the main entry points being onContentLoaded() and onFormSubmit(). Finally (! ), I’ll mention that the Firefox password manager has some built in logging to help with debugging problems. If you find it not working in some particular case, you can enable the logging and it will often make the problem clear — or at least clearer to a developer when you file a bug! Let’s file this under “reasons I love working at Mozilla”. Because, well, that’s true and I can’t think of a better place for it! Months ago (months! 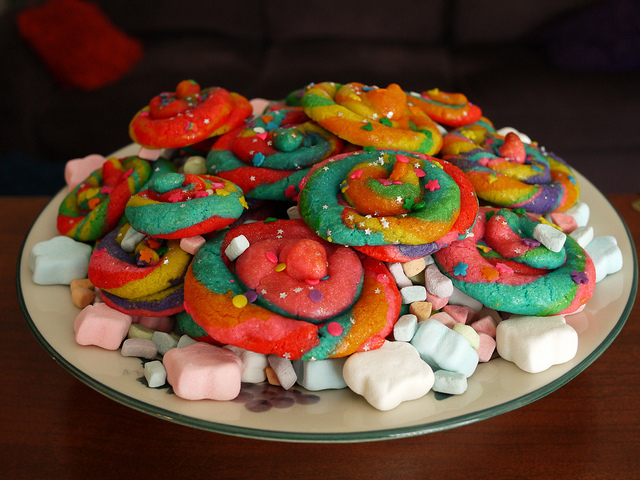 ), I ran across an amazing, amazing thing for “Unicorn Poop Cookies”. I’ve had this tab open in my browser since then, and it was time to close it out. So I made some cookies. Oh, yes. And who better to share them with than my awesome coworkers?! Cream butter and sugar. Add liquids, mix well. Slowly combine in remaining dry ingredients. Chill again. 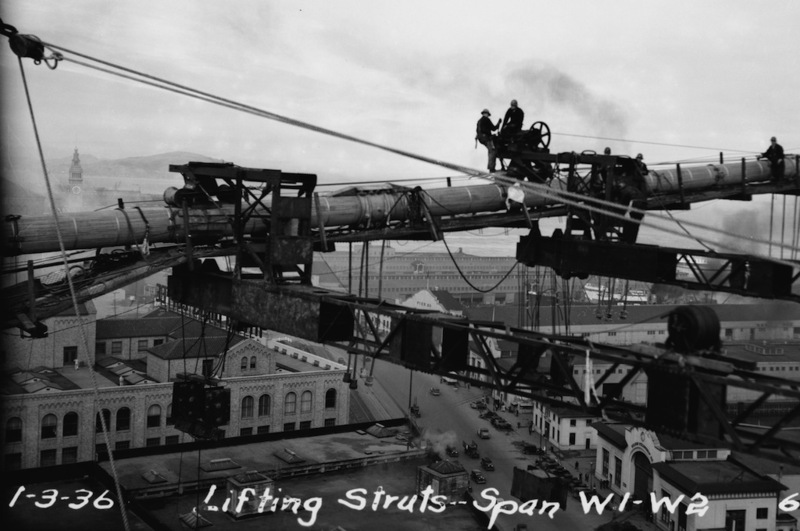 Form dough into ropes. Splice in various colors, twist. Spiral into cookie-sized portions. Chill yet again. Make an egg wash (for shininess and to adhere toppings) with 1 egg + splash of water. Brush on. Sprinkle with decorations. “Disco Dust” is great for that added special sparkle. Bake at 375°F for no more than 8 minutes. Watch carefully, you want the dough to _just_ set, not become brown and crispy. These will be soft, almost underbaked, cookies about the consistency of PlayDoh. 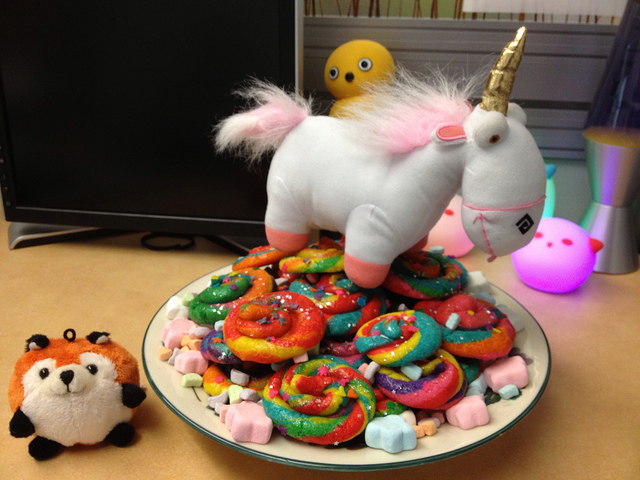 Once cooled, feed everything to a unicorn and wait for nature to Do Its Magic™. Serve with assortment of marshmallows other omgfluffy things. Such as more unicorns. TBH, I’ll probably do it differently next time. I think the cookies turned out fine, but I’d rather use almond flavoring instead of lemon. The lemon extract I used gave a nice subtle(?) “tang” upfront, but also gave a distinct lemon aftertaste that lingered a bit too long. I may also be slightly biased for anything almond-flavored. Hmm, maybe an almond paste center would be interesting. This weekend bug 758812 landed on mozilla-central. So begins a long, slow process of splitting up browser.js into smaller pieces. It’s big. Too damn big. For those unfamiliar with it, browser.js basically contains a bunch of the code for driving the UI in a Firefox window. Anything you click or see changing as you browse probably involves this code. A browser needs to do a surprising amount of stuff to work, and over time browser.js has become an eclectic collection of code. About 13K lines of code, in fact. That’s a lot, and leads to a number of problems… It’s a daunting behemoth for those new to the Mozilla code base. It’s haphazardly organized (at best), so it’s hard to find things unless you already know what you’re looking for. And looking at Mercurial’s history for the whole file doesn’t really give you a clear picture of how specific pieces evolve. Break it up! The first step landed, which is just spinning out a few big chunks of related code into #included files (about 2K lines). As time goes on (and we see how changes work out), we’ll likely spin out even more. Some of these pieces may also end up evolving into JSMs, which has modest benefits for improving memory usage and startup time. We might even be able to share some of this code across products (Firefox, Fennec, B2G). Well, there really isn’t any. If you’re a Firefox user, you won’t see anything change. If you’re an add-on developer, you’re unlikely to be affected by these changes. The cleaving of browser.js is currently just a source-tree change with #includes, so the resulting browser.js that ships in Firefox is mostly the same. Future changes to move code into JSMs will have some impact, but we’ll try to keep change small and approachable. Really, it’s only Firefox front-end developers who are likely to notice the changes, patches to certain code in browser.js may now need to patch code in browser-foo.js instead. I am never one to disappoint. Here is my cat wearing a tiara. I was feeling a little bit ornery today, and decided to take a look at unowned reviews in Bugzilla (aka patches with a review request “to the wind”, instead of requesting review from some specific person). After a bit of head scratching to figure out _how_ to get a list of such bugs through the search form, I gave up and use Teh Googlez to get my search query. For the patches in bugs which were still open, I generally assigned to a reviewer I knew was active in that area (to either close the bug out, perform a review, or reassign to someone else). In a few cases, where patches were really ancient (e.g. 6+ years waiting for a review!) I cleared the review and asked that the patch be updated or bug closed. Reviews of that vintage are simply not useful, and stand in the way of driving this list of reviews to Zarro. Currently, there are now ~35 unassigned review requests (in ~25 bugs). Most of those are in in Rhino/Tamarin or addons.mozilla.org, and I wasn’t sure what to do with them. I’ll ask around this week. I was at IKEA the other day (for the first time ever! 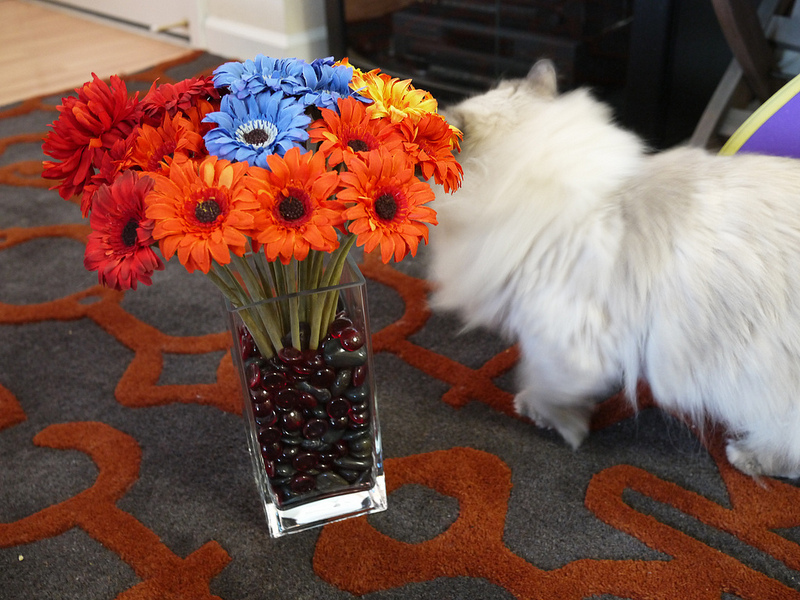 ), and juuust as I was about to make it out the door with minimal expense I saw their assortment of fake flowers, and knew what had to be done. 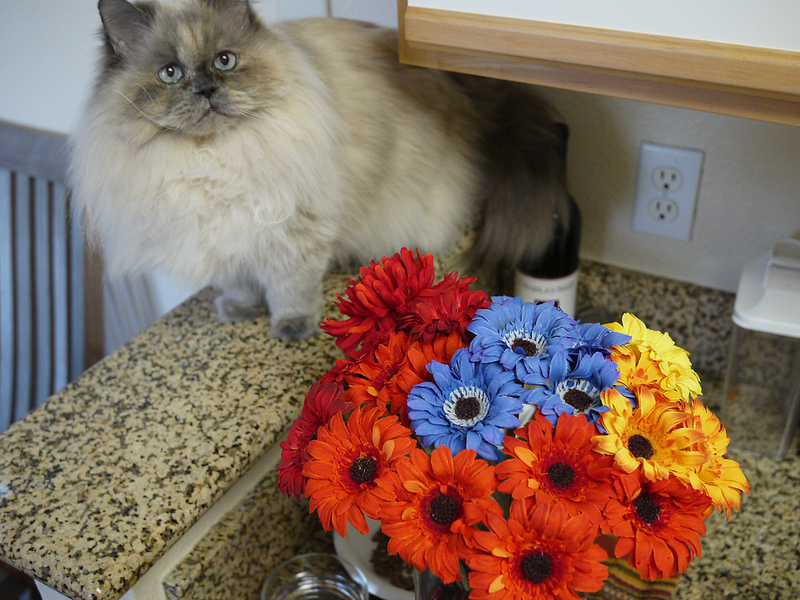 19 SNÄRTIG flowers (5 blue, 1 yellow, 3 yellow-orange, 7 orange, 3 red). My cat, Munchkin, is not available for sale. Sorry.